A burglary in progress call led to a 5-hour SWAT negotiation. 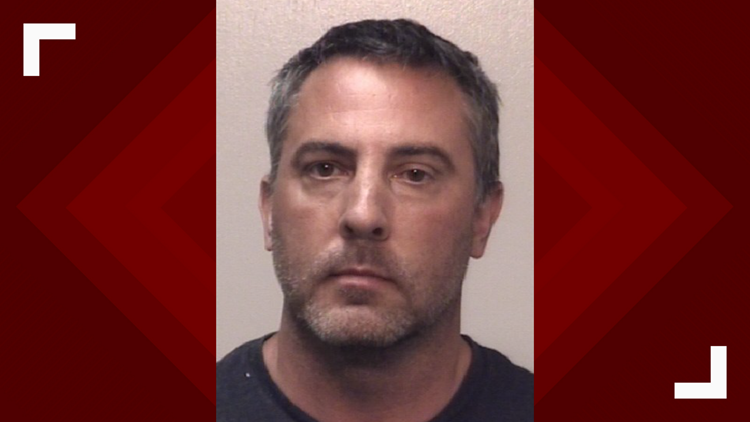 NEWNAN, Ga. — Police responded to a call about an intruder in a Newnan home, and after a five-hour standoff, a fellow law enforcement officer was in custody, charged with first degree burglary. Newnan Police Department officers were called to the home to respond to a possible burglary in progress in the Summer Grove area at 11:55 p.m. on Saturday, April 13. "When officers arrived they did observe a person who is not the homeowner inside the house," said Sgt. Chris Robinson. Robinson said officers were quickly able to identify the person inside was Robert Gray, an officer with the East Point Police Department, even though Gray, at first, would not communicate with officers who were outside. "Mr. Gray did not answer us in any way, and stayed inside the residence," refusing to come out. That's when police deployed the SWAT team and surrounded the house. "The entire five-hours they were trying to negotiate with Mr. Gray and talk him out peacefully," Sgt. Robinson said, "and through the negotiations we were able to talk him out of the residence, where he was not harmed, and none of our officers was harmed." Robinson said officers were sure no one else was in the house, but they were not sure, during those five hours, whether Gray had a firearm; after he was arrested, Robinson said, investigators were not able to find a firearm in or around the house. Police are not speculating on what Gray's motive would have been, saying only that the break-in was part of an on-going domestic dispute. Nearby neighbors say the house belongs to Gray's ex-wife. According to Newnan Police documents, at 11:00 a.m. Saturday, about 12 hours prior to the SWAT incident, Gray's ex-wife called police to her home to report that a neighbor who was walking her dog had seen a man prowling around the ex-wife's house at about 1:15 a.m. The police report lists Robert Gray as the suspected prowler. On Monday, a statement from the East Point Police Department acknowledged that Gray was an officer with the department and was currently under investigation not only by Newnan Police but also, because of his arrest, by East Point Police Internal Affairs. Gray is a 20-year veteran of the department, and was off duty at the time of the incident. East Point police have placed Gray on administrative leave. Gray is being held by the Coweta County Sheriff's Office and may Newnan Police say me may face additional charges as the result of the on-going investigation.